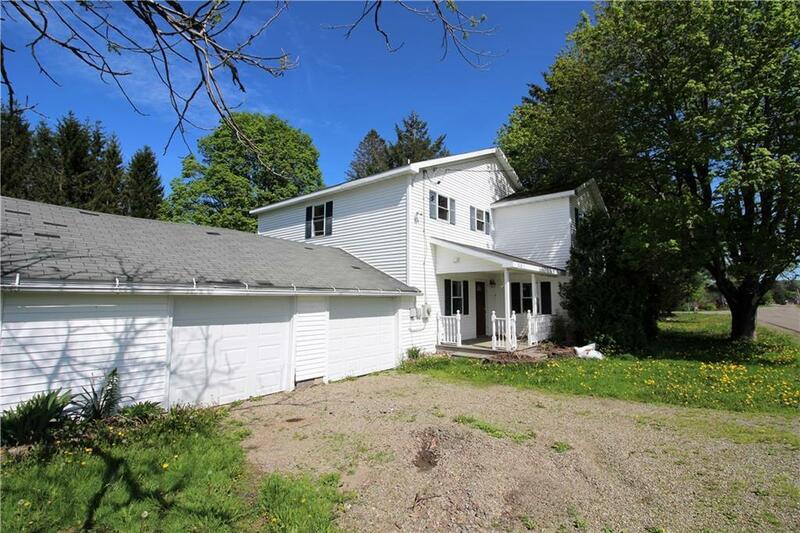 This four bedroom, two full bathroom home sits on a 1.5 acre corner lot and has an attached two car garage. Gigantic living room with new carpeting leads to large kitchen/ dining room. Head out from the dining area onto large back deck and expansive back yard. Convenient 1st floor laundry is just off the kitchen with a chute on the 2nd floor. Just four miles from Cockaigne Ski Resort, it's easy travel to Jamestown, The Chautauqua Institution, and Randolph all within a 1/2 hour drive. Property has brand new carpeting, laminate flooring, and newly redone plumbing. Call today for your showing.